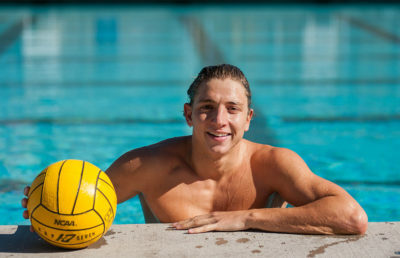 The home crowd’s cheers within the Uytengsu Aquatics Center were deafening and closely mirrored those from last year — but for the opposite side. No. 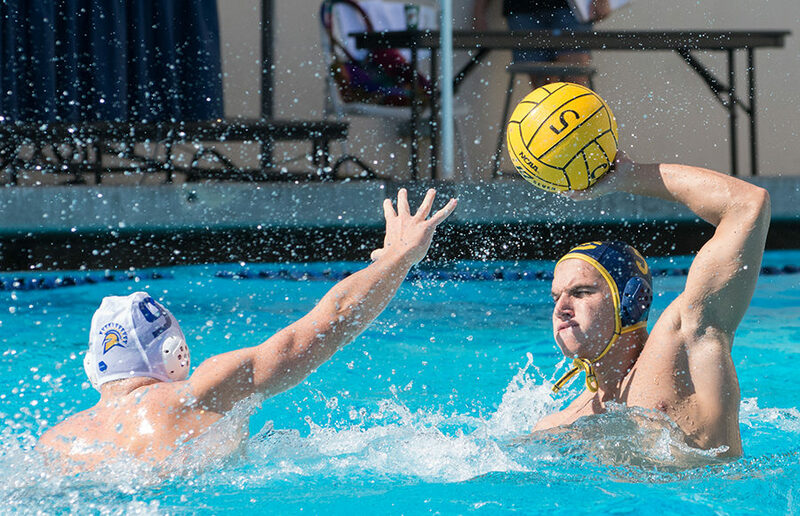 2 Cal men’s water polo’s season came to a heartbreaking close as it fell short to No. 4 USC, 12-11. While the result might have not been what the Bears had hoped for after such a successful regular season, they played with a resiliency and grit that displayed how much they deserved to be in the semifinals contending for the championship. Heading into the game, the Bears were already shorthanded, with senior Conor Neumann out because of a previous game’s penalty. The Trojans were able to take an early lead in the game, with the score at 4-1 by the end of the first period. A goal within the first minute by USC sophomore Matt Maier got the Trojans rolling, and it was followed by goals from senior Grant Stein, junior Zach D’Sa, and senior Lachlan Edwards. Goals from Cal freshman Ryan Hurst off an assist from junior Vassilis Tzavaras and sophomore Safak Simsek were able to keep Cal within two. USC was able to extend its lead to three in the second, with sophomore Thomas Dunstan finding the net. Stein was the only other Trojan who was able to score in the period, as the Bears came back to tie the game. Goals from Simsek, seniors Pedro Stellet and Luca Cupido, and Tzavaras off an assist from Cupido brought Cal up, leaving the score at 6-6 heading into the half. 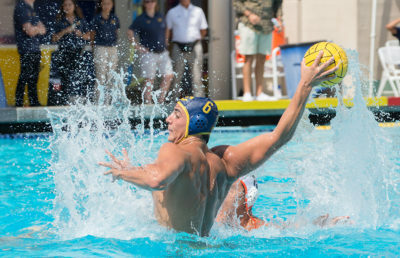 Things began looking good for the Bears in the third quarter, as they built up a 3-point lead at 10-7, with two goals from Simsek and one apiece from senior Nic Carniglia and freshman Nikos Delagrammatikas while only allowing one from USC freshman Marko Vavic. But the Trojans weren’t giving up, and they rallied behind two more goals from Vavic, which cut Cal’s lead to 10-9 heading into the last quarter. A shot by USC senior Marin Dasic tied the score up at 10-all and was followed by another goal from D’Sa to put the Trojans up. The Bears weren’t giving up easily either, as a shot by Carniglia made it a tied game again. Stein, with his third goal of the night, made the game-winning shot, putting USC 12-11 with two and half minutes left. Cal was unable to find the net again, and the final whistle signaled a disappointing end to an impressive season. With a number of seniors graduating, including star player Cupido, this game marks the end of an impressive era. But with each loss of a player comes a new one, and while the Bears didn’t achieve what they hoped, it can be assumed that their dissatisfaction will translate into nothing less than aiming for another NCAA championship come next season.